Up until 2009, this genus was poorly studied, with species that were undescribed and others difficult to recognize. My long-time colleague Keith Pike at Washington State University led an effort to describe some new species and to write a key to species. 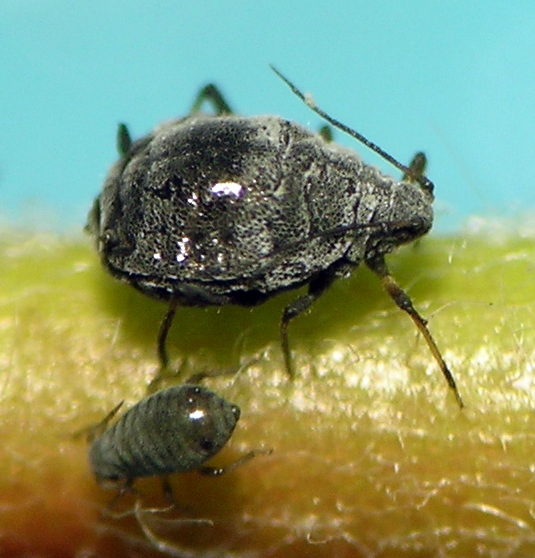 These aphids live on Eriogonum, commonly known as wild buckwheats. 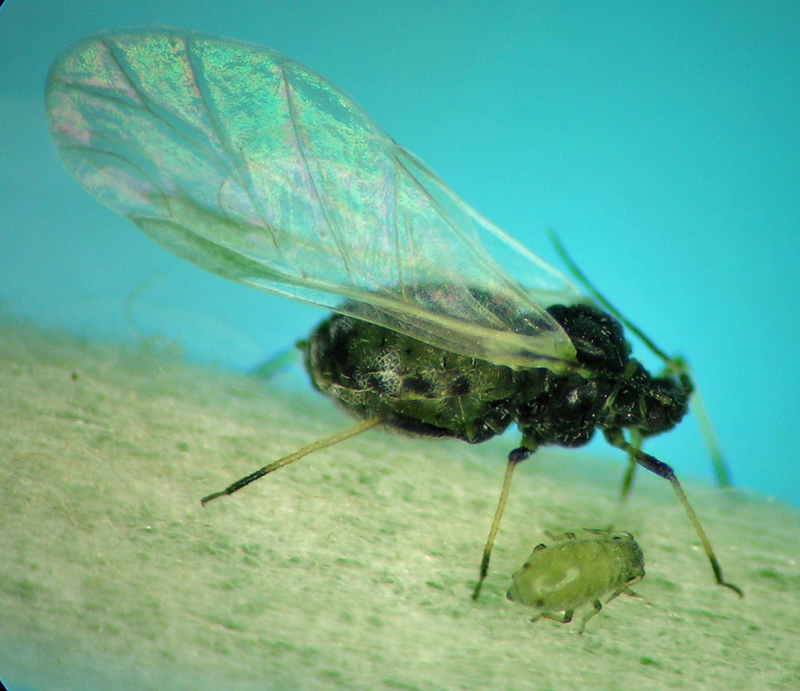 The genus is related to Aphis. A Braggia alate vivipara in central Washington. This is one of the Braggia species recently described by Keith Pike. Before Keith’s paper, I did not file Braggia with species names in my collection, preferring to leave the specimens with only genus name. His paper brought the situation into a lot better order. Probably I should take more photos of Braggia, as I have collected 5 species but only have photos of one of them. I have samples of B. columbiana from the Columbia River gorge area of Washington and Oregon, plus one sample from central Washington. Braggia columbiana from the Washington side of the Columbia River Gorge near Mill A.